We usually don’t travel in the month of December. 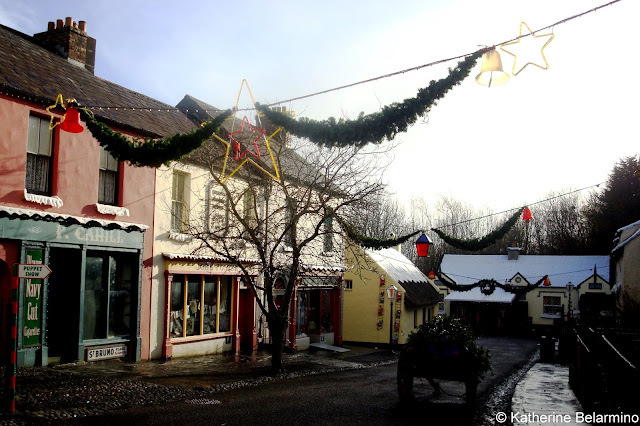 However, one year we did, and that is the year we discovered Ireland is one of the best countries ever to visit during the Christmas season. Not only are the Irish some of the friendliest people on earth, which is a big plus when getting into the holiday spirit, they are also fond of a good celebration, and Christmas is one of their biggest holidays, second only to St. Patrick’s Day. We traveled to Ireland on Thanksgiving Day. Even though when we arrived in Dublin it was not quite December, the airport was already completely decorated for Christmas. There was even a Christmas tree on every single baggage carousel! The sight of Christmas as soon as we got off the plane helped us get over our sadness at missing a turkey feast and pushed us straight into the Christmas spirit. The Guinness Storehouse did not disappoint, neither with its stout nor its Christmas cheer. Grafton Street is one of the main shopping streets in Dublin. 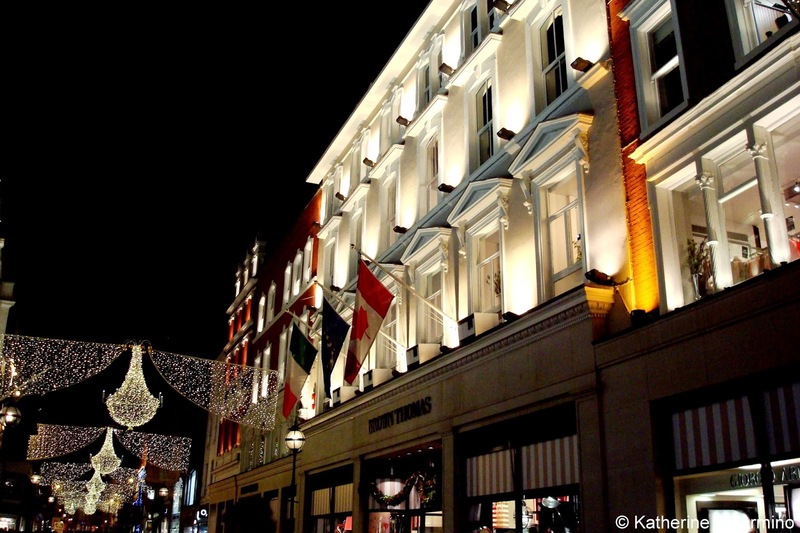 Visiting Grafton Street at night during the Christmas season is a must. There are Christmas lights and Christmas trees and festively decorated store windows. Plus this is the site of one of the best department stores in the world, Brown Thomas, a great place to get in a little Christmas shopping. Every pub and restaurant is tinseled and ornamented. A pint of Guinness or Murphy’s or a glass of Jameson on the rocks just tastes better when the bar is decked in boughs of holly. And dinner certainly tastes better in a small restaurant in front of the fireplace and next to the Christmas tree. Many churches, castles and other sites were adorned in Christmas finery, and one castle had a Christmas village for the young and young at heart to enjoy. Even the tiniest towns, the kind where one second you’ve entered town and the next second you’ve exited and if you blinked you might have missed it, were fully decorated. Not only does Ireland have some of the best sights of Christmas, it has the best sounds too. We drove around much of the country in a rental car and had a number of Christmas radio stations to entertain us. I acquired some new favorite Christmas songs, and found a favorite Christmas radio station, Christmas FM, that I now listen to every year through an app on my phone while wishing I was back in Ireland again. 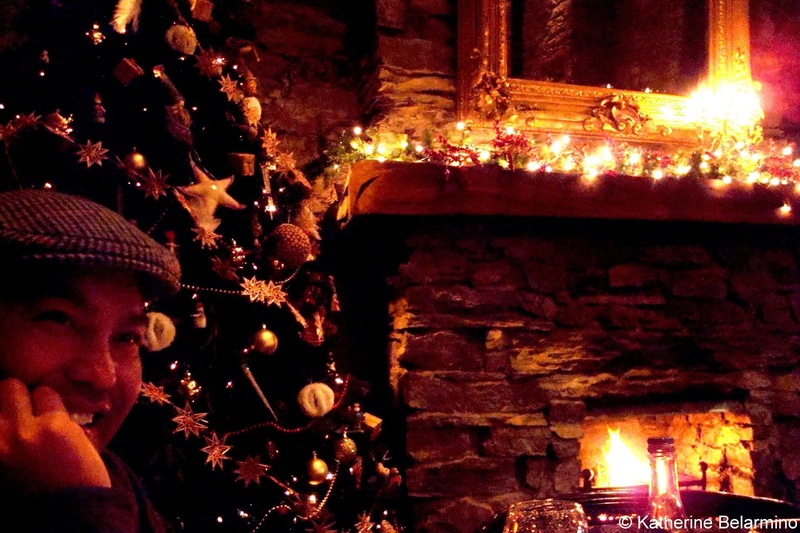 Listening to Irish radio taught us a lot about Ireland’s Christmas traditions as well. Want to guess which is the most important dish on an Irish Christmas table? Potatoes! It is no lie that the Irish have a love for their potatoes. Apparently it doesn’t matter if the turkey is dry and the pie is burned; as long as the potatoes are good dinner will be remembered by all as a success. If the potatoes are bad however, you might as well chuck the whole thing into the garbage. While a trip to Ireland at any time of year is sure to create fond memories to last a lifetime, decorating those memories with Christmas will make them that much sweeter. What are your favorite places to visit during the Christmas season?